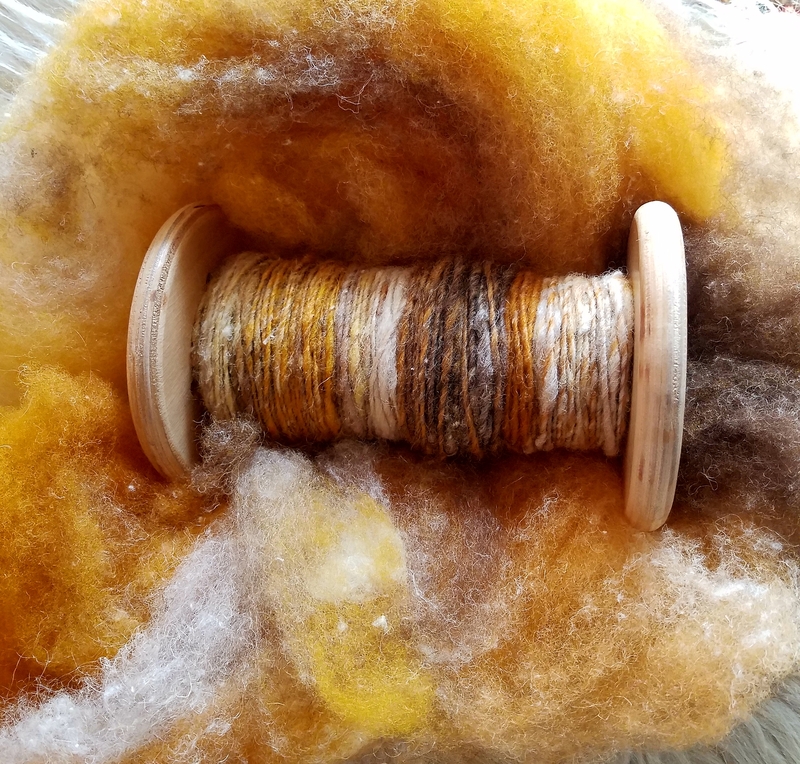 Make the perfect yarn for your knitting project with this blend of marigold plant dyed Teeswater/Cotswold wool, dyed BFL wool, black walnut dyed Lincoln longwool locks, and silky fawn colored Llama blended and carded together into a handsome treat for your hand spinning experience. Similar to the highlighted hickory blend in the Summer 2017 Spin Off magazine. 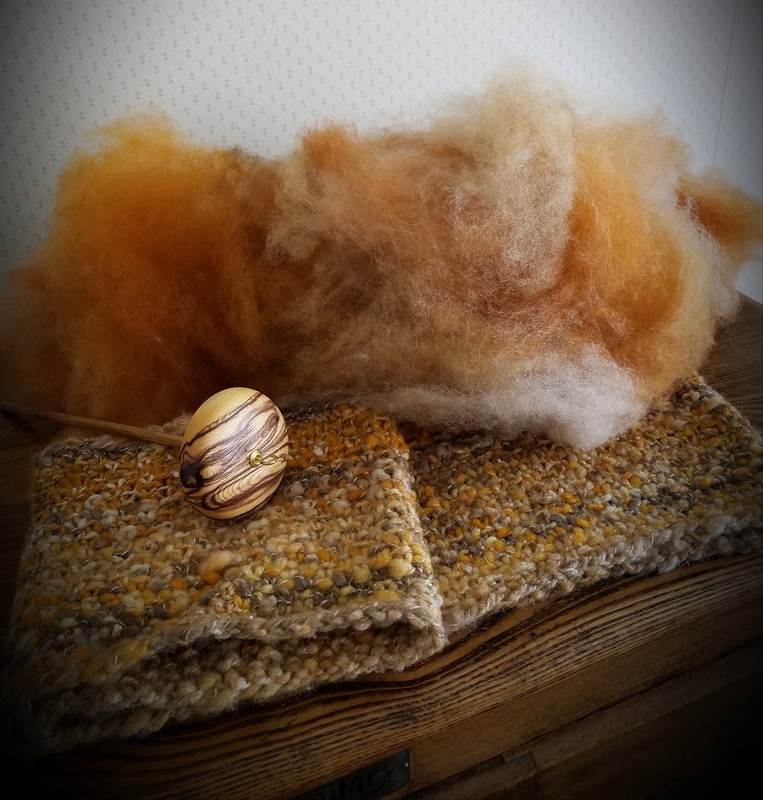 This listing is for 4 ounces of carded wool in the 'hickory' colorway: dreamy-soft fibers and colors that evoke an autumn setting in golds, browns and rusty orange. This blend will make an excellent artisan yarn or a felt piece. 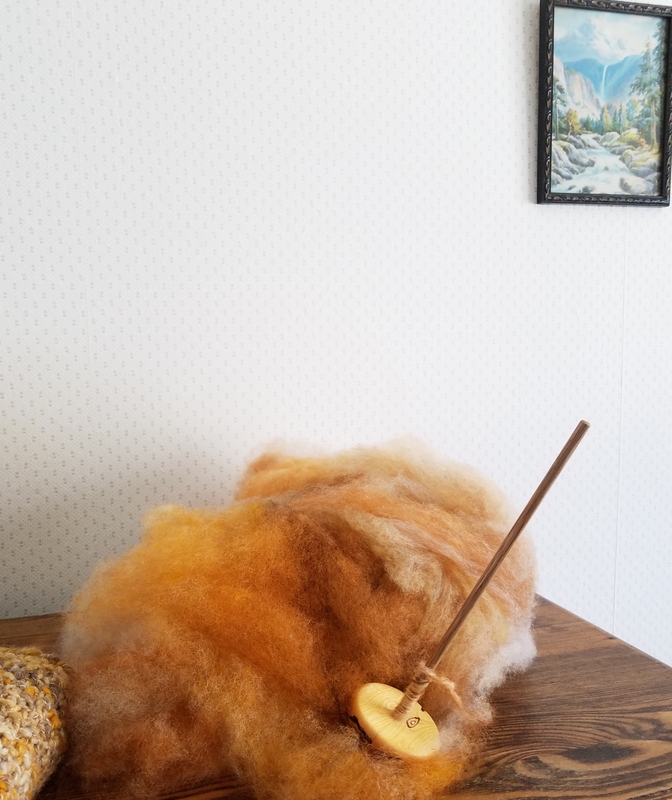 The BFL wool and the Teeswater/Cotswold fleece in this blend are gently harvested from my flock of sheep raised here at Dakota Carding & Wool farm. The silky Llama comes from Lindsey Thomson's Llama, named Spot in MN and the Lincoln Locks are from a fleece raised in MN. All of these animals are pasture raised with no unnecessary medications and all of the fibers are long, healthy and lustrous. Please remember that colors may appear different on your monitor than in real life. Every effort has been made to convey the colors in my photos as the yarn appears to me in person. Dakota blends, created at Dakota Carding and Wool Co. in South Dakota are made by feeding washed wool (and other fibers) into a carding mill that opens up the locks, removes vegetable matter and passes it through several carding rollers that card the fibers but does not align the fibers parallel as in combed top. The wool you spin directly from this cloud will make a beautiful woolen yarn the same as is spun from wool roving or batts. Pure and simple washing, dyeing and carding of the fibers gives you an easy to draft, airy preparation great for spinning a woolen or semi-worsted style yarn. The fibers are processed to retain their unique characteristics.